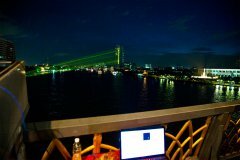 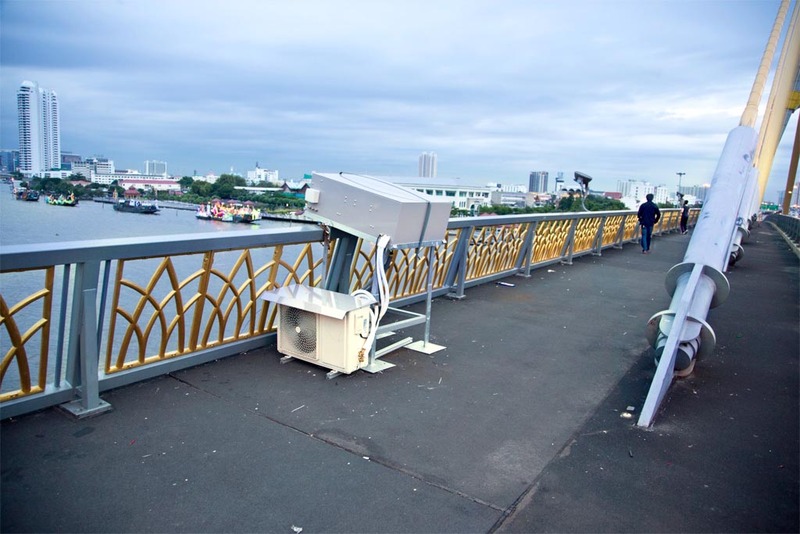 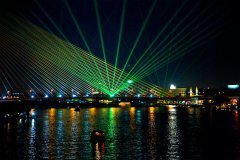 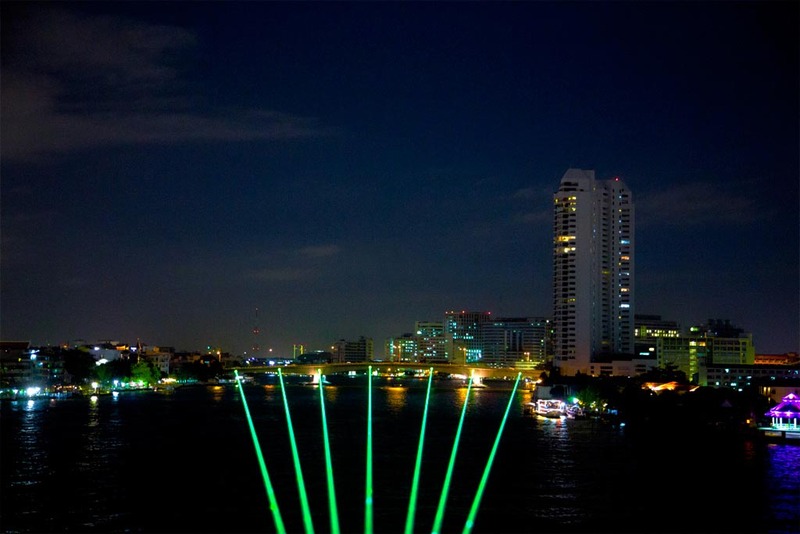 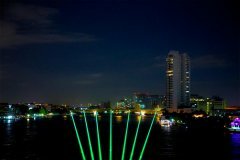 Laserworld's subsidiary RTI has implemented a permanent laser light installation on the Rama VIII Bridge in Thailand's capital Bangkok. 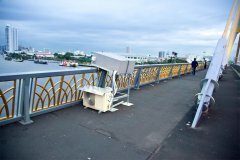 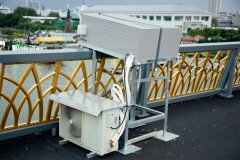 Due to very high humidity and extreme temperatures, as well as the permanent vibrations on the bridge, special equipment was necessary. Therefore RTI was asked to do this job. 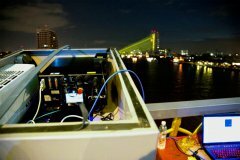 The RTI NANO 4 RYGB has an output power of about 20,000mW, the single green laser light systems RTI PIKO G10 have an output power of about 10,000mW each. 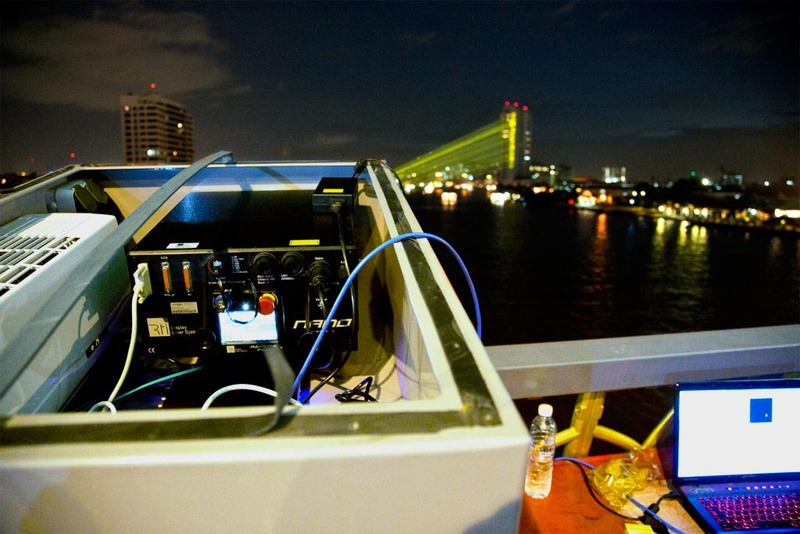 All laser lights were mounted inside a RTI COCOON climate housing. 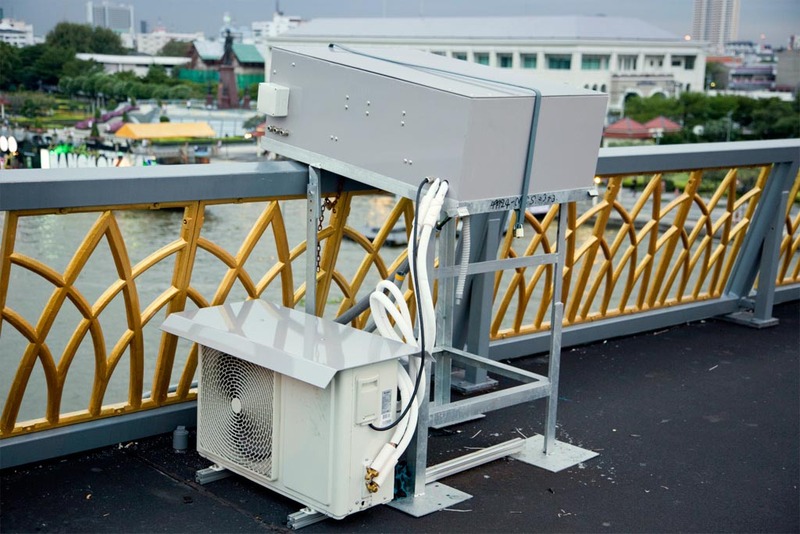 This climate housing was developed to protect laser systems against environmental impacts and to keep them at ideal operating temperatures. 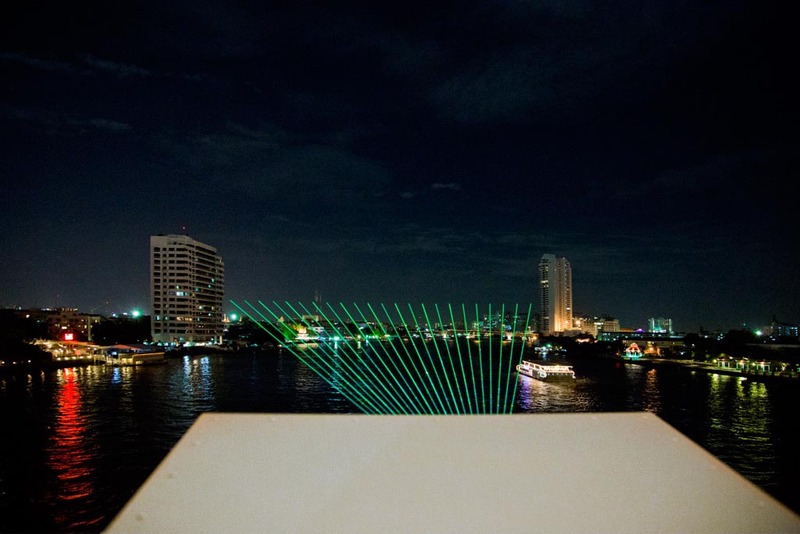 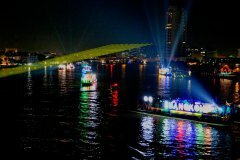 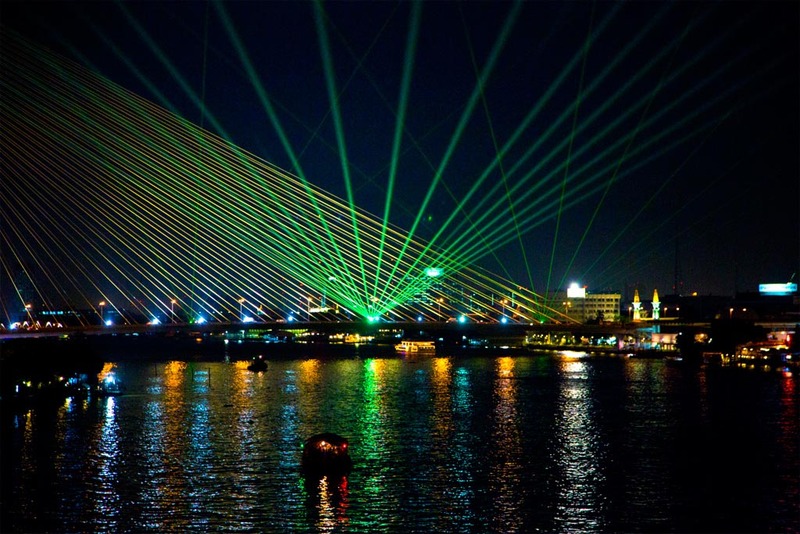 The laser show tells the story of the Thai king and of the bridge itself. 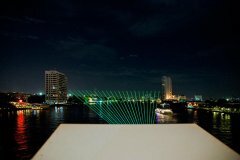 Inhabitants and tourist of the Thai capital can hear the story, told with laser lights, lights and audio, on tour boats passing the river. 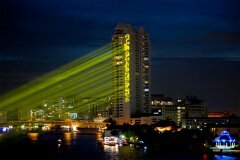 The complete project was set up by Lighting & Equipment Bangkok.